Here are some facts about pirates. Piracy is the act of committing robbery at sea, and pirates have been active in the world’s oceans since the first merchant ships set sail. In the 1st century BC pirates based along the Anatolian coast posed a threat to trading ships of the Roman Empire, and in 75 BC Julius Caesar was briefly held captive by Cilician pirates. In the Middle Ages in Europe, the Vikings were the most feared and successful pirates, raiding the coasts of Western Europe from their bases in Scandinavia. The Vikings also raided the coast of North Africa. Moor pirates established bases along the coasts of southern France and northern Italy. They sacked Rome in the 9th century. In 937 a group of Irish pirates, Vikings, Picts, Scots and Welsh invaded England. They were defeated by Athelstan. The Barbary Corsairs were the pirates that sailed out of the North African ports (such as Algiers and Tunis) of the Barbary Coast. Active from the time of the Crusades to the early 1800s, it is estimated that over 1 million Europeans were captured by the Barbary Corsairs and sold into slavery. Most Barbary Corsairs were Ottoman, such as Oruc Reis (Redbeard) and Kurtoglu, but some were European pirates who had converted to Islam, such as John Ward (originally from England). Privateers were essentially pirates who were given permission by a kingdom’s ruler to commit acts of piracy against the kingdom’s enemies. The Barbary Corsairs were privateers, commissioned by the Ottoman Empire. Sir Francis Drake was a privateer, authorised by Queen Elizabeth I to plunder the ships of England’s enemies. From the 1650s to the mid-1720s, the Caribbean was the location of the classic era of piracy. The buccaneers, originally European hunters who were living illegally on the island of Hispaniola, became a threat to Spanish shipping. Forced from their homes by the Spanish, these hunters turned to piracy, establishing numerous bases including Tortuga and Port Royal. The name buccaneer comes from the French word boucan the French word to describe how the European hunters barbecued their meat over a fire made from green wood. 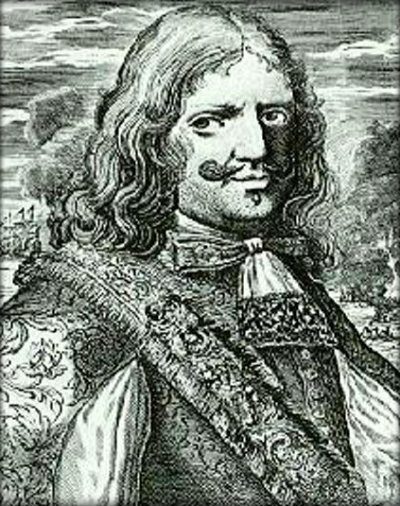 Famous buccaneers included Jean le Vasseur (who led a group operating out of Tortuga), Pierre Le Grand, and Henry Morgan. Henry Morgan was an escaped servant who joined a group of buccaneers based in Jamaica. He sacked Puerto Principe in Cuba in 1668 and seized Panama City. Henry Morgan was sent back to England and tried as a pirate, but he was eventually forgiven by King Charles II and made a knight. In the 1690s pirates began to look for targets beyond the Caribbean. Pirates such as Thomas Tew, Henry Avery and William Kidd began to attack ships in the Indian Ocean, and in the 18th century pirates started to target the trading traffic between Africa, Europe and the Caribbean. Britain was granted a contract from the Spanish government to supply slaves to Spain’s colonies in America. This opened up the American market to merchants and traders, which in turn led to an increase in piracy in the Atlantic. In the early 18th century the most famous pirates operating out of the Caribbean were Blackbeard (Edward Teach), Calico Jack Rackham, along with Mary Read and Anne Bonny, and Bartholomew Roberts (Black Bart). Piracy in the Caribbean declined dramatically after 1720 as the Royal Navy clamped down on this illegal activity.